Proteas coach Ottis Gibson believes Anrich Nortje fits snugly into his pace attack. Ottis Gibson talks to the media after the limited-overs series against Zimbabwe. 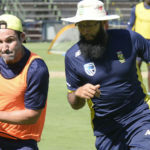 Dean Elgar has been backed by Ottis Gibson as a ‘like-for-like’ replacement for Hashim Amla in ODIs. Ottis Gibson addresses the media ahead of the Zimbabwe ODI series. 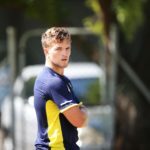 Ottis Gibson says he is sure about 10 out of 15 players for his World Cup squad. Ottis Gibson sticks by his belief that a ‘positive brand’ of cricket is the right approach, but slammed his batsmen’s execution of it. 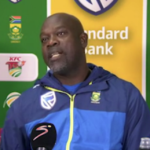 Ottis Gibson says he was frustrated with the Proteas’ batting performance in the last two ODIs and the one-off T20I against Sri Lanka. 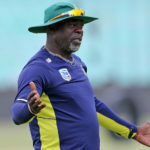 Ottis Gibson says he is satisfied with the Proteas’ preparations ahead of the two-match Test series in Sri Lanka. 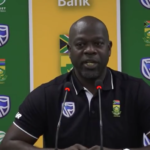 Ottis Gibson says a positive brand of cricket is vital to the Proteas’ success in the subcontinent. Proteas coach Ottis Gibson says he was as shocked as anyone to hear about AB de Villiers’ decision to retire from international cricket. Ottis Gibson says AB de Villiers’ retirement came as a surprise to him. 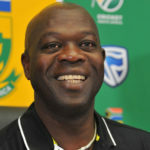 The primary focus of new Proteas coach Ottis Gibson is to take the team back to the No 1 position in Test cricket. 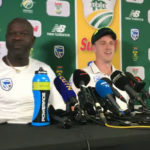 Ottis Gibson addresses the media after the Proteas’ 3-1 series win against Australia. Ottis Gibson says he has tried to make the Proteas dressing room a calm, fun environment. 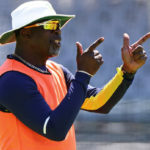 Proteas coach Ottis Gibson says they will assess the conditions in Johannesburg before settling on an XI for the final Test against Australia at the Wanderers.